I have to admit this year I’ve put off shopping for Christmas gifts until the week before the big day. Usually by then I’m almost done, all of them are wrapped, and placed under the tree. Yes, the house is decorated, the stockings are hung, and the cookies have been baked. Plans are made for the Christmas Eve church service with the family, followed by our traditional Christmas Eve dinner afterwards. The Christmas Day dinner menu is planned. But the presents? 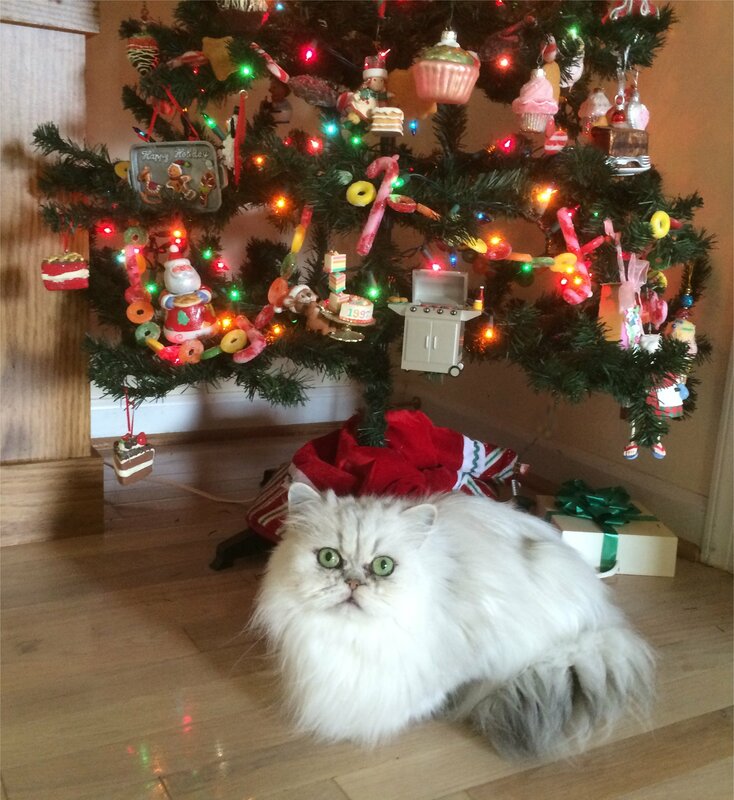 Let’s just say until last night the only things under the tree were the tree skirts and an occasional sleeping cat. There are now a few gifts under there. And a few more to be wrapped, but that’s it. Like the majority of our friends, our gift giving has been cut back. Not only our list of who we’re giving gifts to, but the types of gifts we’re giving. Instead of just going out and buying things for the sake of buying, just to get the shopping done…and not really thinking about what we’re doing, we’re getting gifts that person needs, and maybe one that’s just a little bit for fun. The gifts may not be glamorous, but they’re something that will be put to very good use. In past years we shopped and shopped, having to get “just one more thing” because we felt like we had to….and not even really thinking about what we were doing. In some instances, we felt like we were expected to give gifts, instead of giving them because we wanted to give out of the love in our hearts. Then we’d spend hours wrapping boxes and putting items in those wonderful gift bags, which are actually one of the best inventions ever! We piled gifts under the tree for everyone. You could barely see the base of the tree, and Ashley had to crawl under there as she “played Santa Claus” to pull them all out. We opened and opened, and hardly remembered what we’d received after it was all over. And yes, it was fun, but looking back now, it was also a bit much. A bit extravagant. Instead of celebrating the real reason for the season, we celebrated the commercial element of Christmas by shopping the sales and seeing how much money we could save as we spent. 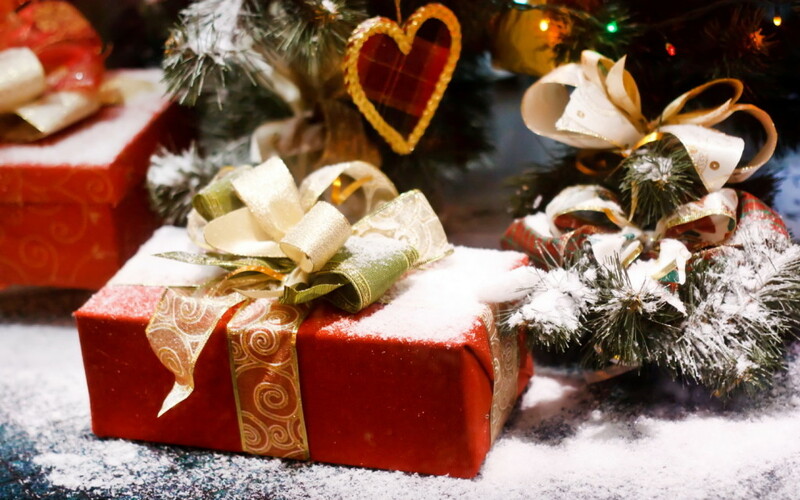 We concentrated on the presents under the tree, rather than the presence of the meaning of Christmas…the presence of our Lord and Savior in our hearts. If it weren’t for the birth of Jesus, there wouldn’t be Christmas, would there? This year, we have made the decision to concentrate more on the presence of the spirit of Christmas, rather than the presents that have become the main focus for the season. I’m not saying we shouldn’t give gifts to our loved ones, but we need to be sure what we give is something from our hearts, and not from ads on tv and in the newspaper that tell us we need to buy really extravagant purchases right now while they’re on sale. Not all presents need to have been bought at a store. The greatest gift the world has known certainly didn’t come from a store, but straight from God. Our daughter and son-in-law are giving us the most wonderful present we could have, even though she won’t be arriving until next year, and she certainly won’t be gift-wrapped. 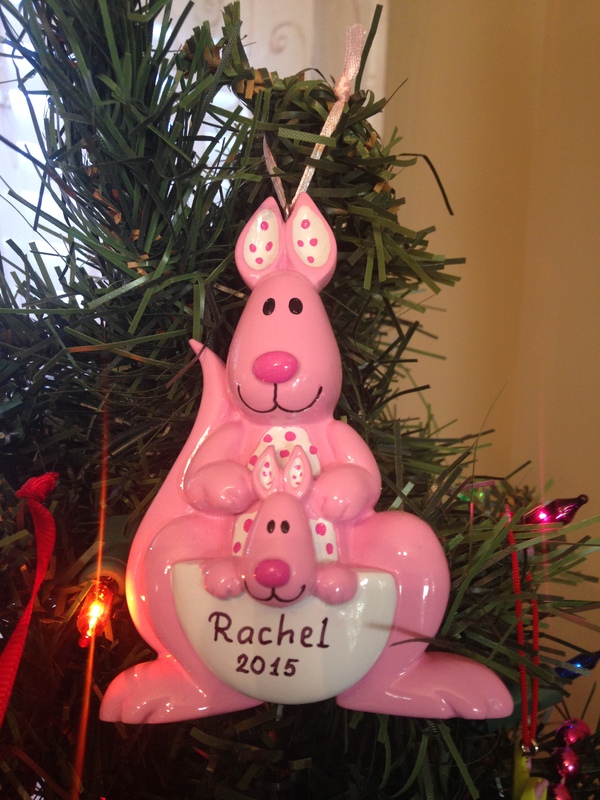 Our granddaughter Rachel Marie will be worth far more than any gift that could ever be wrapped up under the tree. We have some very dear friends who started a special Christmas tradition right after they were married. Instead of exchanging gifts, they write each other a special letter, and exchange them on Christmas morning. I have no idea what the letters say, because they’re personal, but knowing these friends, they re-proclaim the love they have for each other, and tell each other why they are thankful for another year together. And they give thanks to the Lord for bringing them together and keeping them together. I think this is a wonderful idea, and I admire them greatly for doing it. Is the presence of Christmas in your hearts and in your home this season, or just the presents? If not, take a few minutes to relax, and breathe, and step away from the busy-ness of the holiday season and focus on the true meaning of Christmas. And make your gifts to your loved ones special ones from your heart to show them how much they mean to you. It’s not about the presents under the tree…but the present in the manger over 2,000 years ago…and the presence of love and the presence of our Lord in our lives and in our hearts. Next Does Christmas Day Feel Different to You?